austin mahone . . Wallpaper and background images in the Austin Mahone club. This Austin Mahone photo might contain boater, leghorn, panama, panama hat, sailor, skimmer, straw hat, fedora, felt hat, homburg, stetson, and trilby. So hot!! Totally to die for!!! 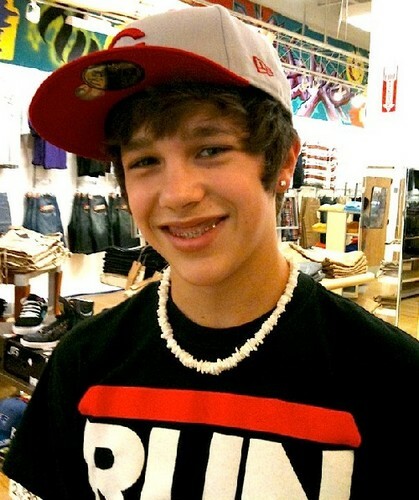 his smile is cute specialy his braces make it cute! !